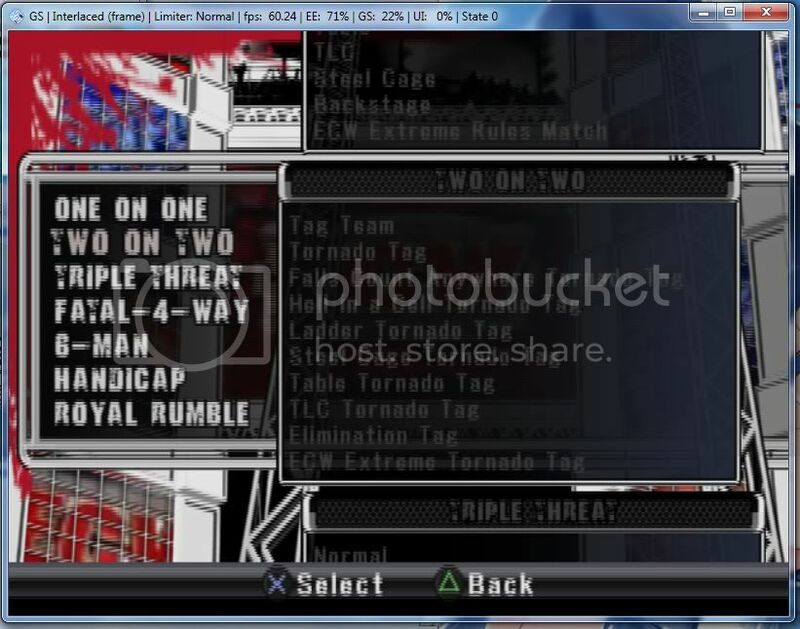 I'm trying to run the game smackdown vs raw 2009, already made a ISO from my original DvD to get maximum performance. The problem is that during gameplay, the screen begins to shake and show distortions as I navigate the cursor and move the character. Already tried the different interlace options, but I'm still having distortions at the horizontal lines. P.S. always running at 60fps+ both on menu and gameplay without slowdowns. internal at 800x600, tried native once but still got the same effect. I'm not at home, but I will post the screens later. This picture shows what happens during the emulation, the screen alternate between this and normal during the whole experience. and there's the plugin config as it is, except that I'm using F5 to cycle interlaces (tried to use them through the config window before, same result). Everything else at core GS and window GS is at it's default. Sadly, neither checking off 8-bit nor going software mode seens to fix the issue. Furthermore, tried to put clamping at full mode, tried various fixes, putting the emotion engine to interpreter, superVU recompiler and remade the copy from my original disk... am I the only one having this issue? P.S. my plugin version is gsdx 0.1.16, is that the latest version? EDIT... does my ATI catalyst center configs have anything to do with this? 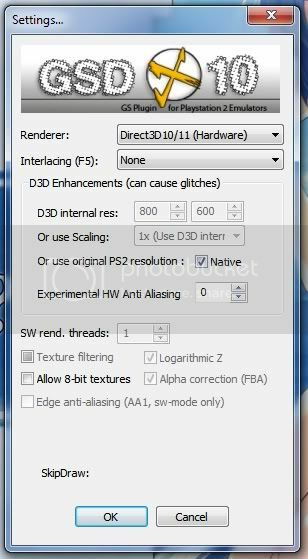 Still the same issue, I'll be doing some research and testing to see if I can get rid of this glitch. If anyone have an idea about what can be done that will be good. Thanks to everyone trying to help me here.